Maps are a powerful way to visualize data. 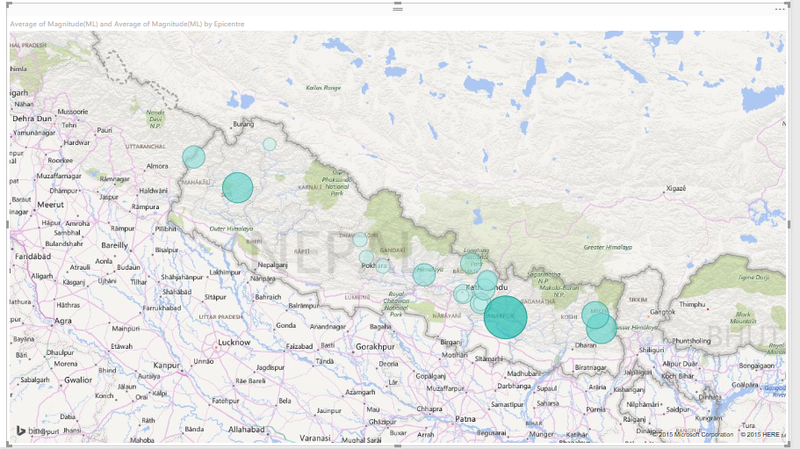 Today, we will learn the basics of creating a map report on Power BI. For the demo, I will use a table from a website and then use its data to create a map report. This can be considered the beauty of Power BI where no scripting is required to analyze the data on a web page. 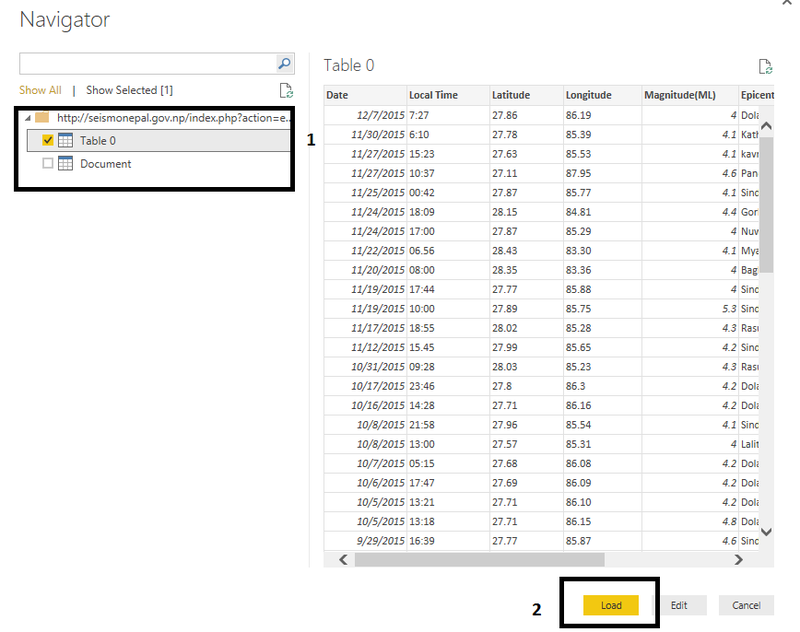 After opening Power BI Desktop, click on Get Data. Here choose Web and connect. 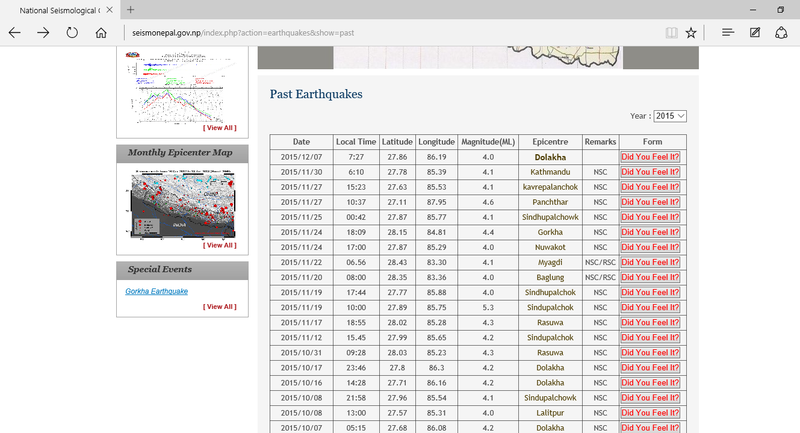 For this demo, I am analyzing the data from http://seismonepal.gov.np/index.php?action=earthquakes&show=past which list the past earthquakes that has occurred in Nepal. Put in the URL and click OK. Here you will see two option to check, ‘Table 0’ and ‘Document’. We will check Table 0 which contains the actual data. Document is a table with the structure of the web page. Click on Table 0 and load it. This will load the data from the table given on the web page. Now click on the Map icon at the visualization window. You will see a window to put in the values for the map. Fill the map as show in the picture. By default the sum of magnitude is taken. Change it to average or any other measures you like by clicking on the small arrow on the side of the field. Do this for both Values and Color Saturation. The map looks like this. 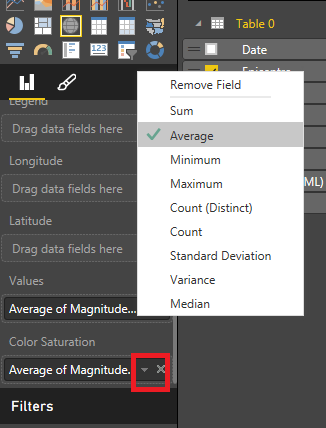 The Values field is used to show some details when hovered on the data point while the Color Saturation is used to show the variance in the value by the differences in color. You can see the slight change in the shade of blue at the data point. The higher the value the darker the color. You can also change the color if you like. This is the basic that you can do with a map. Just visualizing the geographical data on a Map gives a better grasp of information from the data than from any other forms of report.